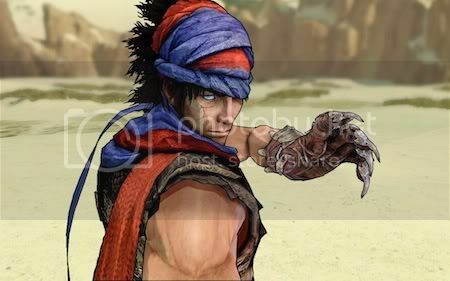 Leon, Tony, James and Darren Forman return to Persia circa 2008 and Ubisoft’s (so far) one-off reboot of the two decade old Prince of Persia franchise. Discusses are the controversial difficulty (or lack of), the controversial art style and the controversial ending (or lack of) – all that and the controversially cynical and hard epilogue dlc. Cane & Rinse 29 was edited by Darren Gargette. I just listened to this episode. You guys brought back some great memories I had of this game. I had played the Sands of Time Trilogy and was eager for this new direction the franchise was going. I loved the gameplay. I know it was easier than others in the series, but having dealt with the challenge of Sands of Time, especially the first game I was fine with a little relief. Loved the arrogant Prince, the determined Elika and the world they inhabited. The ending was the center of great discussion. Players hated that they had no choice in the matter. Or rather the illusion of choice where there was none. For me even if given the choice I probably would have set aside my selfishness to protect the world. Yet that's what most people would have done. I applaud the developers taking the standard hero saves the girl idea and make it a mistake to do so. With that choice the relationship between the Prince and Elika has changed and I appreciate that being done rather than having a standard ending which lets be honest if we had gotten, we would have voiced our disappointment for the game not taking chances. Thank you gentlemen. I am going to revisit this now while also working on Batman Arkham Knight and Witcher 3. Listened to this today. Excellent podcast, really good. It was nice to hear what you guys had to say about another one of my favourite games of all time. Thank you to everyone involved. Cheers. Thanks Rob - the game was a mere four years old when we recorded that show! I think I first played it around that time. Shame I wasn't aware of the great C&R back then. Had a look for Dead Rising 1 but sadly you haven't done it yet. Any plans to cover Dead Rising? A show dedicated to the first game would be great. The Dead Rising games are on our list (along with 1500+ others).